Easy as 1-2-3 to sell your Car! We will buy your car any make or model (running or not). Due to our extensive network of buyers/auctions throughout the United States, we are able to offer you the highest price for your used & damaged cars. We specialize in the purchase of damaged and wrecked vehicles. Sell your car today!. Planning on pawning your car or getting a title loan, Don't we will buy your car today. 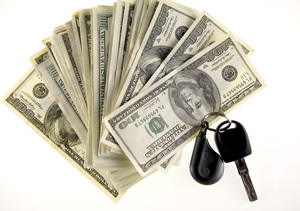 Cash For Cars, Sell Your Car Get Paid Today! Cash For Cars. NationalCash4Cars.com will pay you top dollar for your used, damaged, and wrecked vehicles. Selling your used or damaged car is as easy as 1-2-3, get cash for your car today. Let NationalCash4Cars.com eliminate the stress of selling your vehicle. SOLD! SOLD! Was one of your vehicles was in a collision and you want to sell it? National Cash for Cars will pay you top dollar for your vehicle that was in a collision or wreck. National Cash for Cars buys the following types of collision damaged cars, trucks, vans and SUVs. Fleet Purchases- We provide quotes for fleet purchases or grounded company fleets as well as Federal, State and City grouded vehicles. Tell us to Buy My Car today! We buy cars of all types, in any condition. We will buy your car now! We will buy your car today! Top Dollar paid! Sell your car, the fast and easy way. In order to get started, please fill out our simple form, or give us a call at 1-800-407-1969. We look forward to giving you top dollar for your car, truck, or van. Easy – Only takes 3 easy steps for us to buy your your car, van, or truck. Price – Due to our extensive network of buyers/auctions throughout the United States, National Cash 4 Cars is able to offer you the highest price out there. Free Pick-up – Our drivers are able to come to all cities in the United States to pick up your vehicle, and give you your money on the spot. We are standing by to buy your car. Courteous – National Cash 4 Cars works with its customers throughout the United States to ensure the smoothest selling experience, and strongly values the lifetime partnership with our customers. We are standing by to buy your car! Stress Free – National Cash 4 Cars buys any make or model, running or not. We buy used vehicles in all types of conditions. Buy my Car today! Expertise – Over 50 years of automotive experience, we are standing by to buy your car. The cash for cars business has revolutionized the online car buying industry by offering an immediate offer to buy my car. With easy access to a large network of auctions and buyers, individuals had never had a quicker, more dependable method of selling used, damaged, or wrecked vehicles. Simple forms or a quick call to a company like Nationalcash4cars.com will generate an offer for your vehicle in less than an hour in most cases. The large pool of buyers keeps the offers competitive and the presence of hidden fees is eliminated thanks to the promise of upfront pricing. With more than 150 locations all over the United States Nationalcash4cars.com has resources in place to bring payment to the seller and pick up their vehicle. The entire process of selling an unwanted vehicle is streamlined and hassle-free through the use of an online cash for cars business. In many cases online companies offer simple methods of obtaining an offer for a vehicle. A quick questionnaire is typically sufficient to provide the company all of the details pertaining to the car, truck, or SUV. With this information in their database of action houses and buyers, the offer is quickly made and passed to the seller. In most cases this offer can be made, accepted and delivered to the seller within an hour. The prices offered for a vehicle are always fair and competitive because there are thousands of potential buyers interested in each product. The cash for cars concept is becoming the leading choice for consumers looking for fast and simple offers on their unwanted or wrecked vehicles. One of the biggest concerns when doing business with any companies these days are the hidden fees and other negative surprises the suddenly appear at checkout time. With a majority of buy my car companies, this worry is removed. Nationalcash4cars.com charges their customers no fees for receiving an offer and there is never any obligation to accept any offer. The seller retains absolute control of the sale at every point during the transaction. This level of courteous and transparent business is very attractive to consumers and sellers alike. The number of automotive scrapyards, auctioneers, resellers and buyers nationwide is impressive, and by tapping into this surplus, cash for cars businesses extend their areas of operation. Buy my car programs offer the complete package by providing easy, convenient pickup of the vehicle and payment. All in one service means the company can accept the application, provide a guaranteed offer, make payment, and take possession of the vehicle in one simple process. A local contractor or agent of the cash for cars company will be sent to the location of the vehicle with the funds to pay for the vehicle and the means of removing it if necessary, at no additional cost to the seller. With the freedom and confidence of knowing any car, running or not and regardless of the mileage, will get a serious offer from a reputable cash for cars company within an hour, consumers make the easy choice every time. Buy my car services are only a click away and have the resources to pay a fair and competitive price for any vehicle. With the national network of buyers, auctions, resellers, and junkyards, the ease of online selling is combined with superior relationships to provide one stop services to any consumer.